The Pac-12 Conference has announced its Swimmmers and Divers of the Month for November. Honored for the men were Arizona breastroker Kevin Cordes and diver Rafael Quintero. Cordes went undefeated through November in both breaststroking races and contributed to multiple big relays for the Wildcats. Though he won the award for his work in November, Cordes also set an American record just last weekend at the Texas Invite. Quintero won the platform diving event at the Wildcat diving invite and also won five other events over the course of November for Arizona. 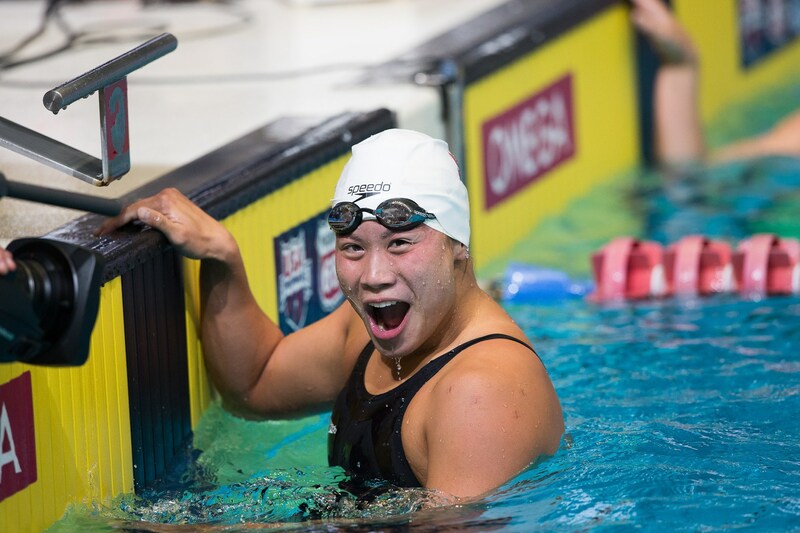 On the women’s side, Stanford’s Felicia Lee won swimmer of the month, while UCLA’s Annika Lenz took the diving award. Lee hit two individual “A” cuts at the Art Adamson Invite in College Station, Texas, and is a big reason why Stanford has nearly all of its relays in contention for national titles at this point in the season. Lenz, a freshman, won the first four diving events of her collegiate career, sweeping 1- and 3-meter against UCSB and Florida Gulf Coast. I would have voted for Lia Neal or Maya DiRado.